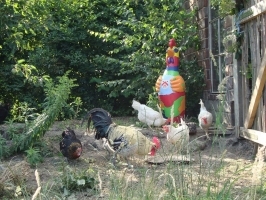 In addition to the Blue Flock of Peace, the colorful chicken ladies ("Crazy Chicken"; DE "Jecke Hühner) "are another creative social project. 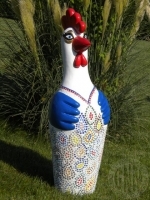 The personified chicken figurine is known in Cologne as "Schantall", in Düsseldorf as "Lisbeth", in Steinfurt as "Schakeline" or in the Netherlands as "Sjaan de Haan". 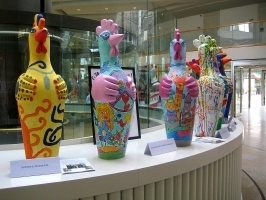 White chicken blanks are individually painted in kindergartens, schools, clubs, social institutions, but also in communities, by private individuals, celebrities or artists. 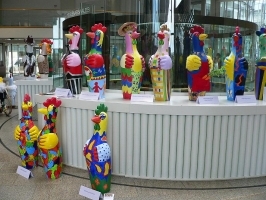 The sympathetic chicken figure becomes a symbol of social commitment in the field of child and youth welfare - for example, if the figure is auctioned off after a painting action and the auction proceeds for social or educational purposes.  White chicken blanks as well as the blue sheep can be purchased at the BLUESHEEPFARM. 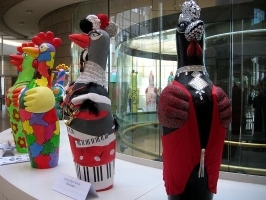 All NRW became creative for a unique artistic charity project for needy children in the country: schools & institutions, private citizens, institutions, companies, artists, musicians and the NRW municipalities, countless people participated, so in the years 2006-2009 over 2300 Crazy Chicken were sold or auctioned off for a good cause. Creative-Help gGmbH, founded by Bertamaria Reetz, supports the action of the Kölner Stadt Anzeiger "we help" and the Kolping plant with the complete proceeds. 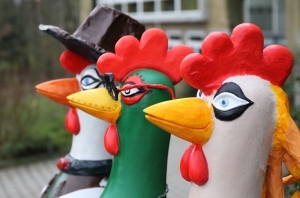 It received the award "kinderfreundlich" ("child friendly") by the Landschaftsverband Rheinland.